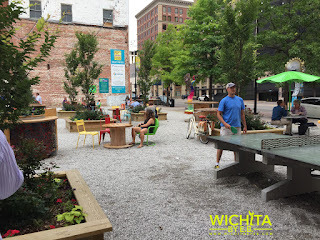 ICT Pop-Up Urban Park – Wichita By E.B. In September of 2015, Downtown Wichita turned a desolate ugly looking area of the city into a beautiful sprawling park with chairs, tables, décor, ping pong table, lights and electrical power for the purpose of the park: Food Trucks. The area has been named the ICT Pop-Up Urban Park and it has been a well-received and welcome addition to Downtown. 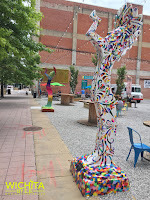 The park is located at 121 E Douglas (near Douglas and Main). 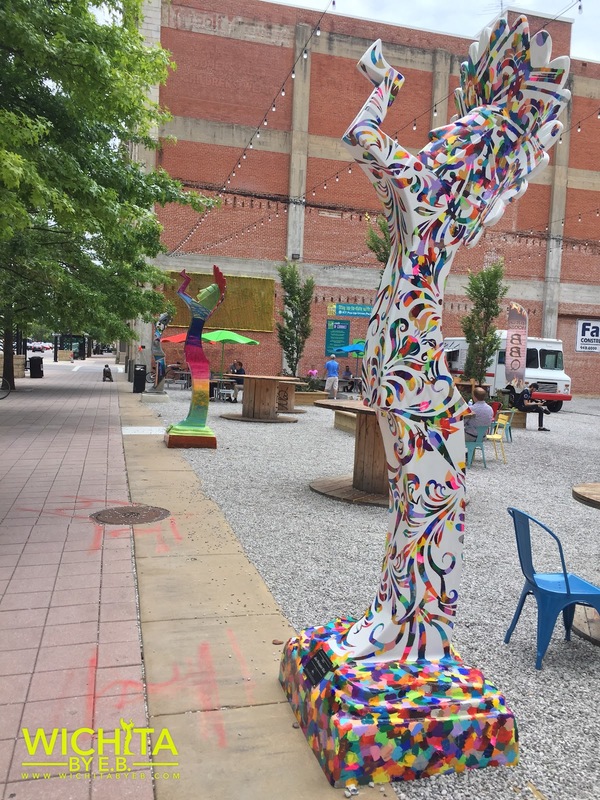 They feature at least 2-5 trucks daily for lunch from 11am – 1:30pm and sometimes have food trucks for dinner starting at 7 pm, coffee from 3-5pm and on the weekends. If you Like them on Facebook, you can see which trucks will be out there. What’s nice about the park is it enables not just office workers downtown but anybody a place to try different food trucks on a daily basis. A lottery is held each month to determine which days food trucks will be able to serve at the park. It also give the trucks more exposure and electricity since they don’t need generators. The support from the public has been outstanding. It’s as if Kevin Costner’s dad in the Field of Dreams told the Wichita Downtown Development Corporation, “If you build it, they will come”. 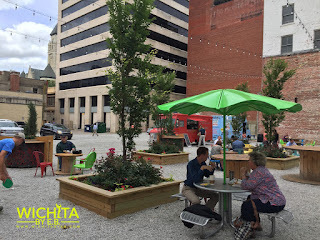 I’ve gone a few times while I continue my 2016 Wichita Food Truck Tour to try as many different food trucks as possible to see which ten are my favorite. This park has enabled me to have a single location to head to which makes it easier on me. I really have to applaud the city on a job well done along with everybody who made it possible. The decorated “Keepers of the Parade” statues donated by The Wichita Eagle are a thing of beauty. 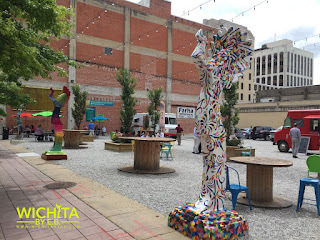 What used to be an eyesore is now a great addition to Downtown Wichita. Kudos.